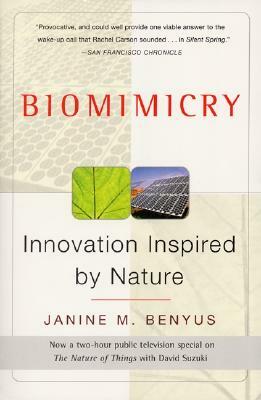 If chaos theory transformed our view of the universe, biomimicry is transforming our life on Earth. Biomimicry is innovation inspired by nature – taking advantage of evolution’s 3.8 billion years of R&D since the first bacteria. Biomimics study nature’s best ideas: photosynthesis, brain power, and shells – and adapt them for human use. They are revolutionising how we invent, compute, heal ourselves, harness energy, repair the environment, and feed the world. Science writer and lecturer Janine Benyus names and explains this phenomenon. She takes us into the lab and out in the field with cutting-edge researchers as they stir vats of proteins to unleash their computing power; analyse how electrons zipping around a leaf cell convert sunlight into fuel in trillionths of a second; discover miracle drugs by watching what chimps eat when they’re sick; study the hardy prairie as a model for low-maintenance agriculture; and more. Janine M. Benyus is the author of four books in the life sciences, including Beastly Behaviors: A Watchers Guide to How Animals Act and Why. She is a graduate of Rutgers with degrees in forestry and writing and has lectured widely on science topics. She lives in Stevensville, Montana.